While it's currently in the final stages of testing and development, mass production should soon begin and we'll be able to get our hands on the Mini 0806, with no small amount of excitement. As a long-time user of the Mini series, I'm personally hoping that the Mini 0806 will adorn my windscreen for some time, and judging by the test footage and technical specifications that we've seen so far, that looks likely. One of the first things that makes the Mini 0806 stand out from it's predecessors, aside from the slight difference in shape, is the number of ventilation holes all around it. Due to the large amount of data being processed by the components inside them, dashcams can generate a lot of heat, and if this can't dissipate well enough, this heat can cause problems. The Mini 0803 initially suffered from this until additional heat sinks were added, so it's great to see that lessons have been learned and the Mini 0806 seeks to address that particular problem head on. Next up, we notice that the camera mounting point can rotate 180 degrees. This might not seem like a bit deal, but combine it with the ability to flip the image in the camera and this paves the way for a multitude of mounting options. Left-handed, right-handed, windscreen-mounted or dashboard-mounted, the choice will be yours. We would always recommend that a car camera be mounted as high up the windscreen as possible, but many of our customers have requested the option to mount a camera on their dashboard, so it's nice to see the option added. Aesthetically there are a few other tweaks, but the most useful of which is the new LED set-up and placement. A common confusion caused by the Mini 0801 and Mini 0803, was that two LEDs were visible via one hole in the camera's body. One blue, and one red, which often appeared purple when flashing together, prompting many questions from our customers. This issue has been addressed by providing individual LEDs to signify power and recording, and a third LED that can possibly be configured to either indicate that a GPS signal has been found or that audio recording is enabled or disabled. One of the most important new features of the Mini 0806 car camera is it's ability to use two external memory cards, and the fact that it supports up to 128GB cards in each slot! That means that it offers a whopping 256GB of storage! Wow!! 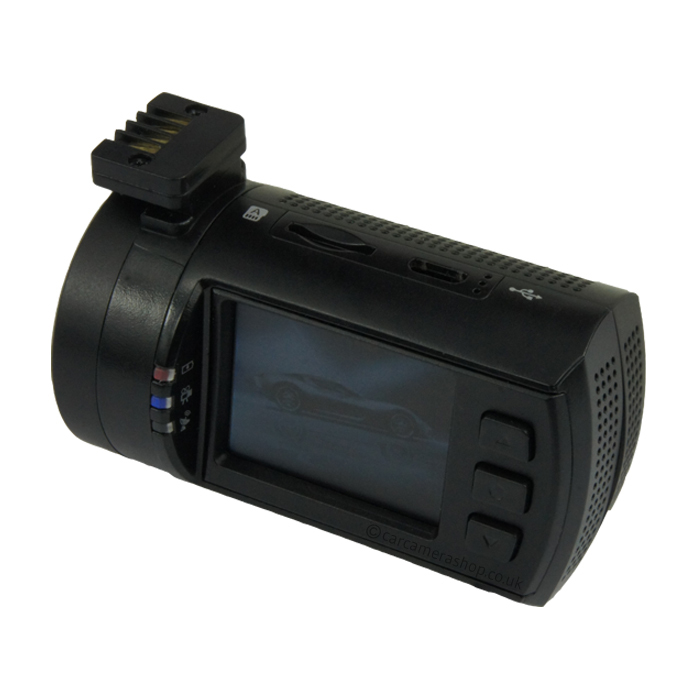 Based on the current cameras, that could mean that the Mini 0806 can hold around 48 hours worth of footage at any one time, making it ideal for anyone who spends a significant amount of time behind the wheel such as long distance haulage lorry drivers, driving instructors and taxi drivers. It will also offer the ability to use an optional circular polarizing filter (CPL) to reduce glare when recording in the daytime. Particularly in bright conditions. This is a welcome addition to the range and it appears that the filter can be attached quickly and easily by way of a magnet which will make it easy to remove at night so that it doesn't impair low light recording. In terms of it's video recording ability, it doesn't look like it will deliver the 1440p resolution that the early information hinted at, but it will deliver 1296p video at 30 frames per second and a new option of full HD 1080p recording at 45 frames a second. The improved frame rate will help the Mini 0806 to deliver smoother video which will offer greater clarity. Given that the wide dynamic range (WDR) of the Mini 0803 has been retained, albeit called a high dynamic range (HDR), the Mini 0806 will record well at night, and the test footage that we've seen so far looks impressive. 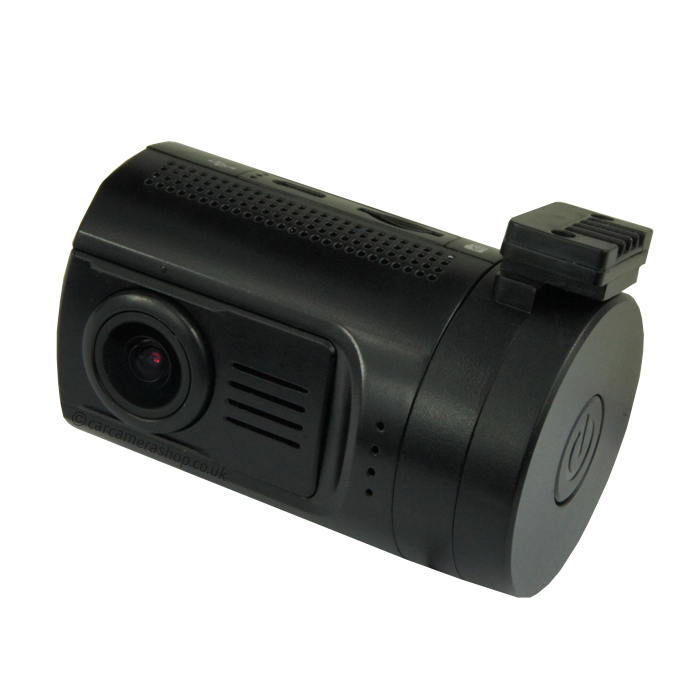 The Mini 0806 retains the safety features that were introduced with the Mini 0803, such as a lane departure warning system (LDWS), but these haven't been embraced by the dashcam community as much as we'd expected. While they do work, they lack the sophistication of more advanced systems and, as such, may be a touch too crude to be relied on. I'm sure we'll see these features become more refined in the future and offer a real benefit to dashcam owners. So overall, the Mini 0806 dashcam promises to be an exceptional car camera. 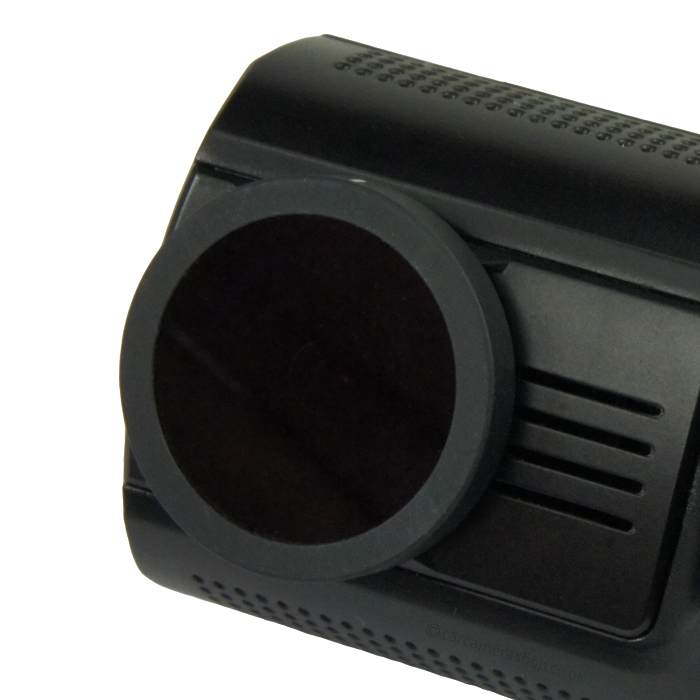 It's clear that the manufacturer has listened to the dashcam community and developed a product that appears to be raising the bar in many respects. With the level of testing and development that appears to have been down we're hopeful that the Mini 0806 will launch without as many bugs as the Mini 0803 had, but we'll reserve judgement until we've run our own tests. Rest assured that we won't be offering the Mini 0806 for sale until we're happy that it performs as it should.